The RHS Companion to Wildlife Gardening by Chris Baines is a beautifully illustrated and comprehensive book giving a very broad coverage of wildlife in and around our gardens. 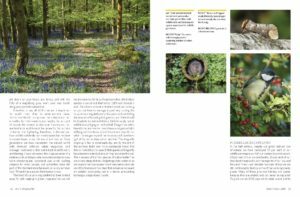 The book opens by explaining the ever increasing importance of our gardens for wildlife due to the rapid expansion of our urban areas and the subsequent reduction on wildlife habitat. It then goes on to explain how we can help our struggling native wildlife by creating various wildlife friendly habitats in our gardens no matter how large or small they may be. These areas are covered much more thoroughly than I’ve seen in many other books I’ve read with whole chapters devoted to woodland edges, hedgerows and climbers, lawns and wildflower meadows and garden ponds and other wetlands. 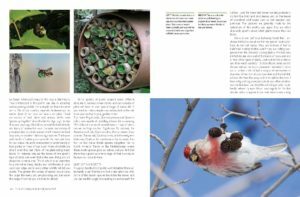 The final part of the book goes into more detail on possible improvements to these areas and the benefits that these may bring (for the wildlife and the gardeners). During this part there is a lot of information on planting a variety of native species to help wildlife in the cottage garden as well as some excellent advice for encouraging wildlife to the kitchen garden whilst also giving ideas of protecting crops from pests using organic methods. As mentioned in the opening line the book really is a beautifully presented book with some abundant and stunning photography. The coverage is very comprehensive, well written and packed with useful and actionable information. We have been trying to provide wildlife habitats in our own garden for many years and have generally had some good success but there are new ideas here that we’ll start trying out. Having tried out growing our own vegetables and salads this year we have been all too aware of the damage that some wildlife pests (namely slugs, snails and caterpillars in our case) can bring and already had a few thoughts on what we could try next year with this book providing a few other things to try too. 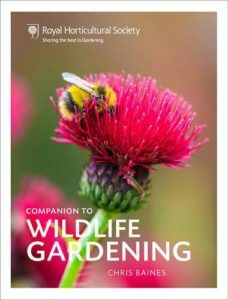 I really liked the overall approach of the book and it has a very good balance of providing wildlife friendly habitats for a large range of wildlife both small and large whilst at the same time providing some very good gardening and species information (as would be expected from an RHS publication). I was particularly pleased to see an organic approach being favoured which seems to be very much in line with the permaculture principles that we’ve also being learning about this year, such as using diversity to confuse insects, creating predator friendly habitats – frogs love slugs etc. In summary this is a beautiful book that would make a great gift for anyone ranging, from an experienced gardener to a total novice, who has an interest in attracting more wildlife to their garden and is one of the best of the numerous books I’ve read on the subject – highly recommended and is available on Amazon.